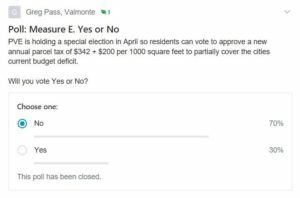 On April 10, 2018, Palos Verdes Estates residents turned out in record numbers in order to vote for the historic Law Enforcement Parcel Tax (Measure E). Preliminary results of the election exhibit over 70% of the votes in approval of the tax (click here). The Bluff Cove Homeowners Association congratulates the Palos Verdes Police Officers' Association/Union and advocates of Measure E on the outcome of the election. 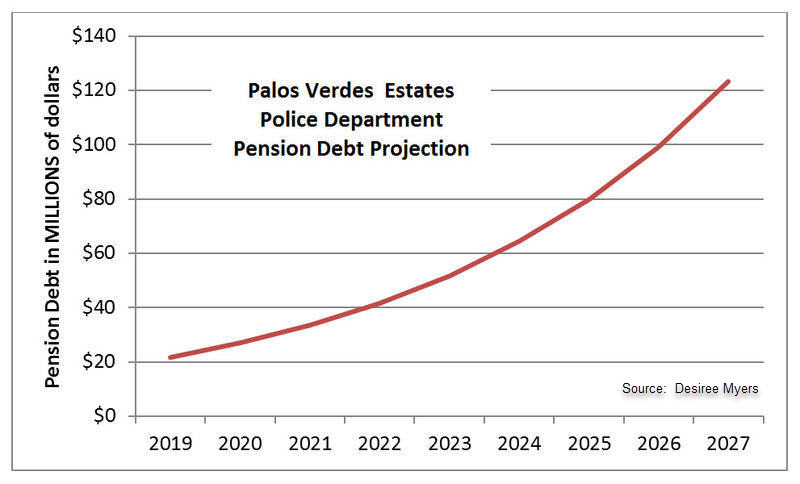 Unequivocally, the election results provide evidence of widespread support for maintaining the Palos Verdes Estates Police Department, irrespective of the short and long term costs to the City. The Bluff Cove Homeowners Association in 2018 proudly endorsed the Los Angeles County Sheriff's Department and its $4.3-4.5 million/year quote to provide law enforcement services protecting the residents of City of Palos Verdes Estates. The BCHA did not endorse Measure E and the PVE Police Department's $7.5 million updated FY2017-2018 budget. The Los Angeles County Sheriff's Department has not endorsed, supported or opposed the Palos Verdes Estates Measure E Parcel Tax. 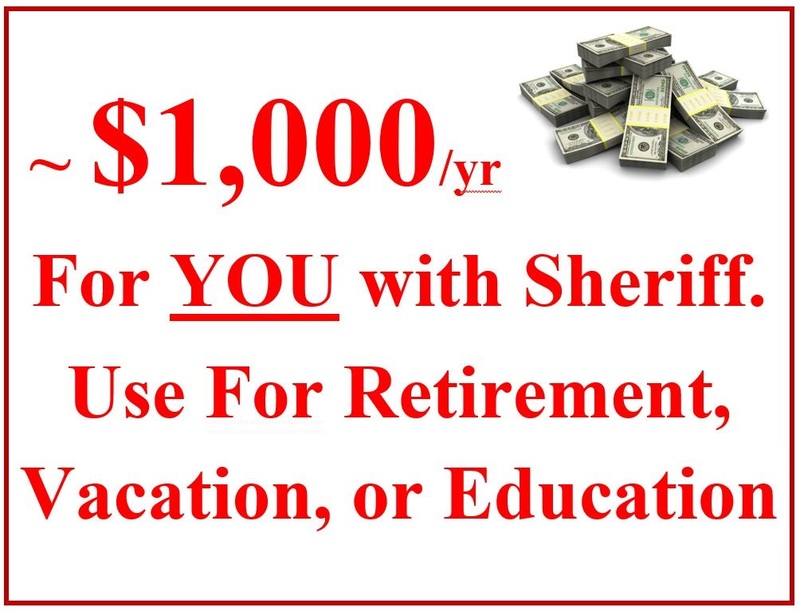 The LASD has not sponsored, endorsed or otherwise become affiliated with the BCHA or any of its activities. The BCHA acts independently of the LASD. 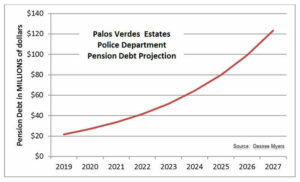 The City of Palos Verdes Estates government must learn to balance its budget before yet another tax on our properties. Relentless & Endless Campaigns to Tax Our Homes: This second vote to tax our homes follows the City’s reserves experiencing substantial depletion due to spending exceeding revenues. PVE City government furtively has planned yet another vote to tax our homes on top of this $5 million/year, $45 million lifetime Measure E parcel tax. This was exposed on January 10th when on camera Councilwoman Betty Lin Peterson cryptically stated, "I think the $5 million itself is inadequate ... we will have to come back eventually with something else" (click here at 2:05:00) and then Councilman Sandy Davidson confirmed, "If we are actually going to save the City's behind as far as having enough money to function, clearly ... the $5 million won't do it." (click here at 2:06). 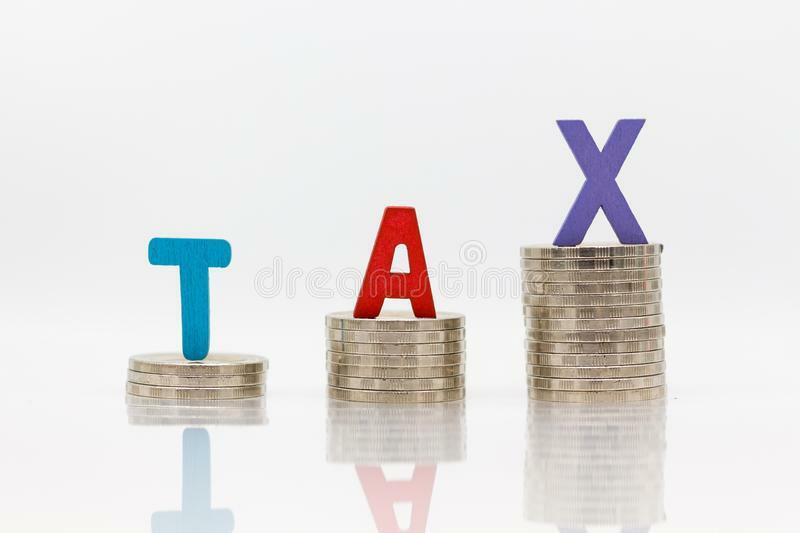 On March 27, 2018, due to escalating publicity surrounding the City Council's secret plans to "stack" tax measures atop one another, four of the five City Council members were forced to disavow publicly a November 2018 incremental tax measure (click here at 15:30). It is a near certainty that an alternate date has been chosen but not disclosed by the PVE City Council for yet another vote to tax our own homes rather than balance the City budget through prudent cost cutting. 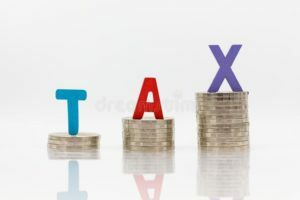 It is the BCHA's understanding that March 2019 is that date secretly planned due to the associated "general tax" having the far lower hurdle of 51% voter approval vs. November's unsurmountable 67%. Anyone looking to see how egregiously a city can get tax-stacked for a local police department has only to look at San Marino, CA, where the government is running out of room in the alphabet - already up to Measure U (click here). Voting for this home tax is comparable to hiring a contractor who gives you a quote that complies with your own pencil-sharpened but sizable budget, but then comes back half way into the job admitting it will cost you another 50% to finish the project. We all know how bad it feels when that happens to us unexpectedly; in this case, you are being forewarned by people close to the situation that this is the City's secret plan. Sheriff Protects Rest of Peninsula with Same "Community Policing" Approach as PVEPD: Familiarity with residents, their homes and families is core to the Sheriff's safekeeping of RPV, RH & RHE. 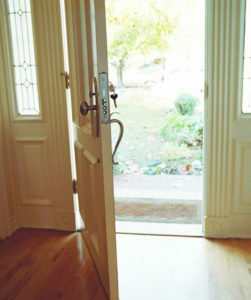 You can expect to feel the same small town touch to which we are accustomed here in PVE. The local Sheriff station's Community Resource (CORE) team is a specially selected group made up of four deputies and a sergeant (click here). The team addresses neighborhood concerns, quality of life issues, and problem juvenile behavior proactively, before these issues escalate into criminal activity. Neighborhood Watch is very active in Sheriff protected cities (click here), in addition to myriad other Sheriff-sponsored community programs such as McGruff children's support and "street meets." Just like the PVEPD, the Sheriff offers free-of-charge "vacation checks" wherein a Sheriff car with official beacon lights parks in front of your house, and then walks through the entirety of your property. Indeed, PVE voters must understand that we will lose none of these law enforcement perks by voting against Measure E. Moreover, we will gain Sheriff programs unavailable from the PVEPD (e.g., fully vetted and trained reserves, mounted posse, & Explorer youth program; click here). PVE-CARES senior and other community outreach programs may be staffed and managed by low cost civilians and volunteers. Two-three civilian employees working on PVE-CARES can be hired for the all-in cost of one PVEPD officer. PVE has a disproportionate amount of retired civilians willing and able to help seniors in their golden years. Skyrocketing Police pensions make a decision Not to work with the Sheriff a decision to recklessly endanger PVE's financial solvency: City Manager Dahlerbruch has warned the City Council repeatedly that he cannot estimate any future PVEPD budget, including next year's, due to "uncontrollable" CalPERS pension costs (click here at 1:53:20 and see chart). The City Manager dispelled any misconception that PVEPD costs could be contained: "The costs for the police services, regardless, are going up. The City has significant pension costs and insurance costs. The $5 million isn't going to cover the cost of the police department anyways." (click here at 1:46:25). When reading PVE's FY2017 audited financial report (click here), residents were alarmed to learn that the City's "net pension liability" (unfunded portion of total pension) as of last summer had consumed nearly 50% of the City's entire balance of cash/investments. Even more disconcerting is that based on the precipitous escalation of this liability, PVE's "pension bomb" could consume the entirety of PVE's cash/investments within only three years. Click here to understand in detail how this is playing out in California cities. PVE residents may want to consider that ignoring the risks of such exploding pension liabilities led to the bankruptcies of other California cities such as San Bernardino, Stockton and Vallejo. 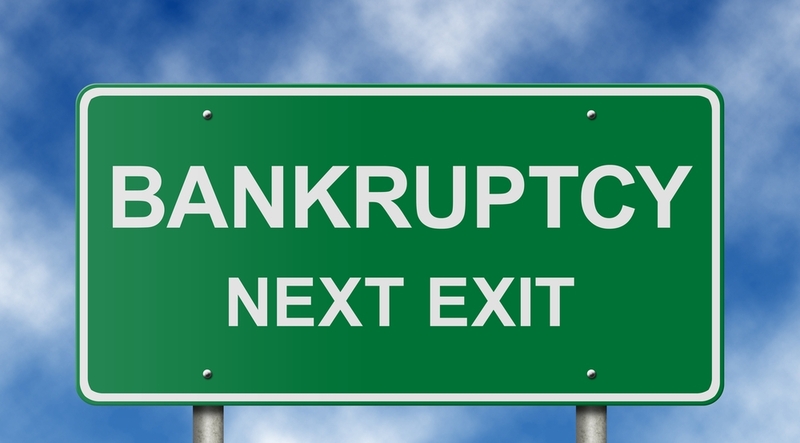 Why should Palos Verdes Estates be next on the California Chapter 9 bankruptcy list when we have been offered a viable, attractive alternative that is protecting every other city on the Peninsula? Sheriff Quote Includes Shifting Peninsula Deployment to PVE: Six months before the Measure D vote, PVE's City Manager wrote in a summary of the Sheriff quote he had procured, “Lomita station Peninsula deployment will shift to PVE acting as a force multiplier for the City" (click on map). Also stated by the City Manager was "Sheriff Lieutenant assigned to PVE Police Headquarters" (see excerpt from PVE City Mgr. Sept. 2016 report below). 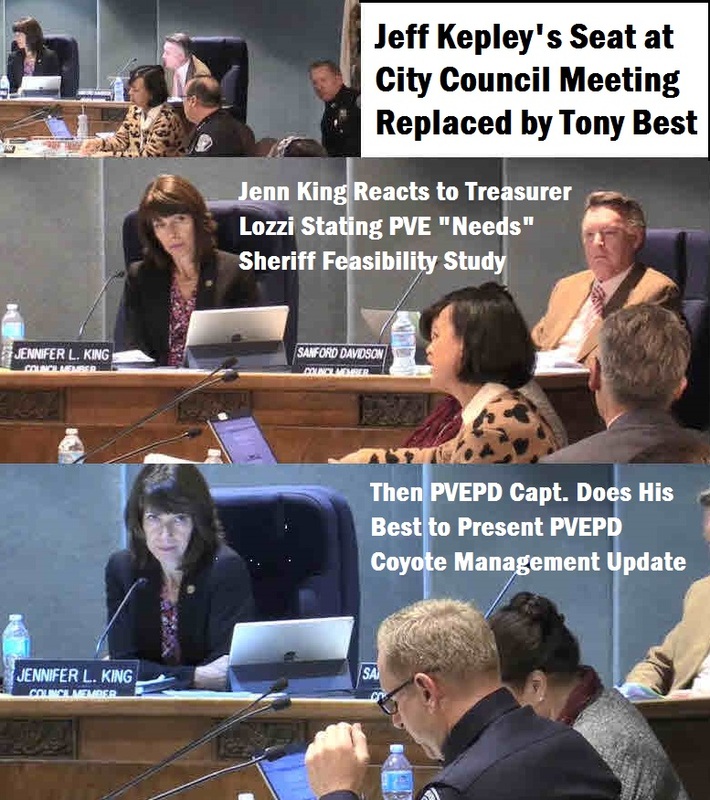 PVE Treasurer Victoria Lozzi has beseeched the City for an official "Sheriff Feasibility Study" (SFS), but PVE's City Council repeatedly has refused. We have learned that the primary driver for the City Council's stubborn refusal to order a SFS over the past two years is that the SFS would confirm "Sheriff's Peninsula deployment will shift to PVE." This would make entirely unbelievable any claim that the City Manager's quote summary stating those exact words was inaccurate. The City Council knows full well that voters overwhelmingly would reject Measure E knowing that the Sheriff's Peninsula deployment shall shift to PVE as part of a $4.5 million/year contract. Click here (then right-click on the Sheriff station map pin, select "Measure Distance," and then find/click on your home) to calculate the distance from your home to both of the PVEPD and LASD Lomita stations that would be able to respond your call for assistance. 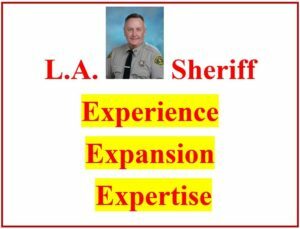 Sheriff Quote Offers 50% MORE Patrol than PVEPD for 40% LESS than PVEPD Budget: This same City Manager "Summary" of the pre-Measure D procured LASD Sheriff quote (click on image) described one of two Sheriff options received as offering a “50% increase in patrol service hours over current PVEPD deployment” for “overall cost of $4.31 million including liability.” To be clear, this "summary" was written by PVE government official(s) as part of a detailed, 4-page study on this Sheriff quote received by this same PVE government in September 2016 (click here to see actual PVE Sheriff Quote Study). Also to avoid any uninformed assertion that this was not a "Sheriff quote" or a "study" of such quote, the actual computer file was named by the City, "09 28 2016 - LASD Staffing Study-Quote," and has been referred elsewhere by the City as "LASD Quote Sept 2016." Despite PVE government officials placing 100s of pages of documentation on the City's official website during its first attempt (Measure D ) to tax our homes $5 million/year, this 4-page study never was made public anywhere. Instead, the study was compelled for delivery to a researching BCHA member under the California Public Records Act on March 23, 2017. Sheriff Response Time Should Match PVEPD: Sheriff’s GPS-equipped squad cars patrolling PVE should be able to respond as quickly as PVEPD's GPS-equipped squad cars. Sheriff squad cars are no slower than PVEPD squad cars. Peninsula deployment would shift to PVE per Sheriff quote (see Sept. 2016 quote excerpt above). PVE is one third the size of RPV, and thereby will have far faster response time as a much smaller patrol area. 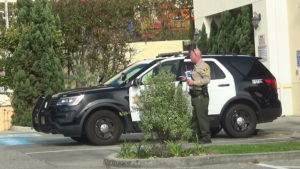 Sheriff Response Shall Commence Locally, not from Lomita: The Sheriff shall patrol within PVE, spreading apart squad cars to minimize response time (as is the case now with the PVEPD). 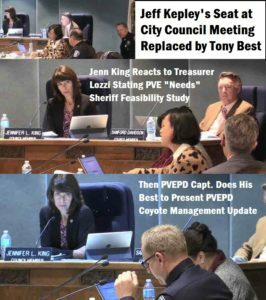 Again for emphasis, the PVE City Manager's summary of the Sheriff quote included, "Sheriff Lomita Peninsula deployment will shift to PVE." 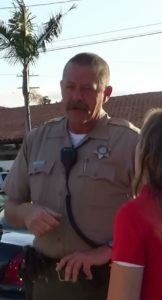 It is important to ask yourself, "Why would PVE's City Manager - who has shown a clear bias in favor of the PVEPD - write in an official Sheriff quote study 'Lomita Sheriff's Peninsula deployment will shift to PVE' and 'Sheriff Lieutenant assigned to PVE Police Headquarters' if both were not true?" 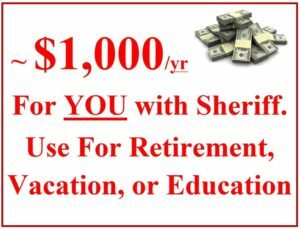 Sheriff Should Hire PVEPD’s Best Officers: Upon contracting with PVE, the Sheriff shall staff up including hiring from the PVEPD itself, in order to deliver comparable or better law enforcement (due to 50% more patrol service hours). As when PVE moved from its own fire department to the County, PVEPD’s best and brightest should receive priority hiring by Sheriff for PVE deployment, keeping familiar faces protecting our streets. We look very forward to seeing officers we all have learned to love - Corporal Blitz, Sgt. Eberhard, Officer Garcia, Detective Reed, the Gaunt brothers and many more - proudly wearing their new Sheriff's uniforms. While there will be rotation in/out of PVE by the Sheriff, individual officer tenure tends to be a duration of multiple years, allowing PVE residents and officers to become familiar with each other. Furthermore, the large Sheriff Department's superior opportunity for officer promotion tends to attract a distinctly high caliber of deputy. Click here for Los Angeles Times 1985 article in which PVE firefighters strongly supported City move to the County. 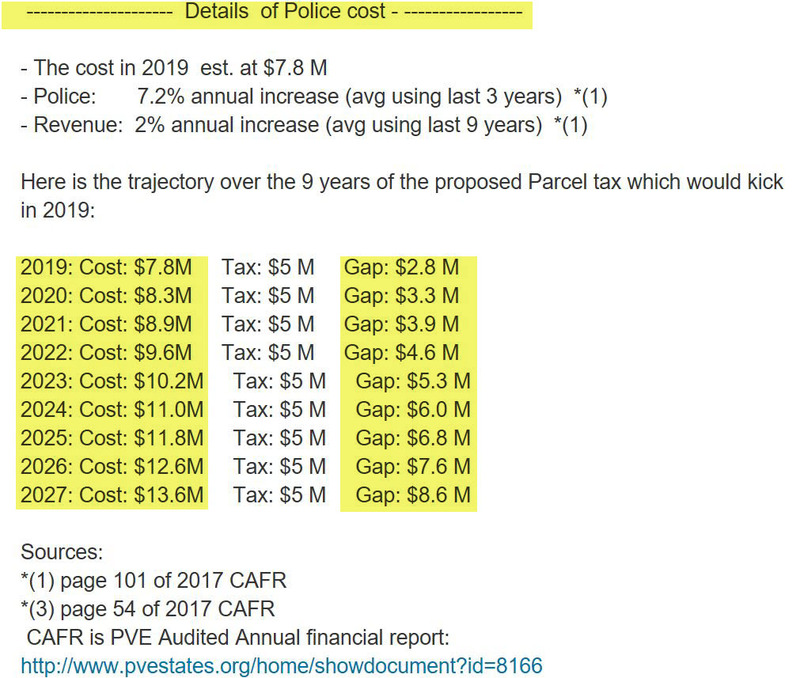 PVEPD Budget is 3-4 Times RPV’s Sheriff Cost, per capita: The City of RPV is triple the size/population of PVE, but in FY2017-2018 RPV is paying Sheriff $6.1 million, merely 13% of RPV’s $48 million citywide budget. This is not a matter of whether or not the PVEPD is misdirected because PVE officials have no expertise in overseeing a local police bureau. Instead, it comes down to the fact that as the nation's largest sheriff department with a Peninsula-based contract covering 3-4 cities, the Sheriff has economies of scale that are impossible for a 5 sq. mile town's police department to match. 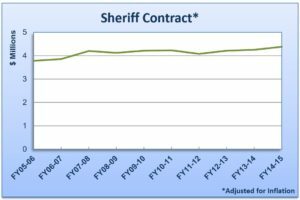 Sheriff Cost Update Nearly Identical to 2016 Quote: In 10/2017, PVE government updated cost: “the contract alternative of the Sheriff’s Department is generally estimated to be $3.5 million to $4.5 million” (click on excerpt from actual PVE City Manager October 2017 report). This apparent< 5% cost escalation supports the view that PVE has not proven willing or able to control cost escalation by its own police department any better than price increases that come to the Peninsula from the Sheriff. See Q&A section below for more discussion on the subject of cost escalation. 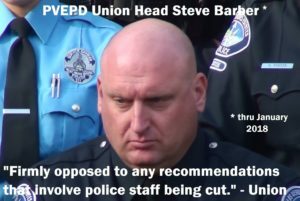 PVEPD Opposes Any Cut to Its Staff Despite Being Over Half of Entire City Budget: To be clear right at the outset, we are not "anti"-PVE Police Department; to the contrary, we have enormous respect for the fine members of the law enforcement community. However, we are struggling with the fact that the PVEPD “Updated Budget FY2017-2018” was $7.5 million, 55% of City of Palos Verdes Estates’ $14 million budget. 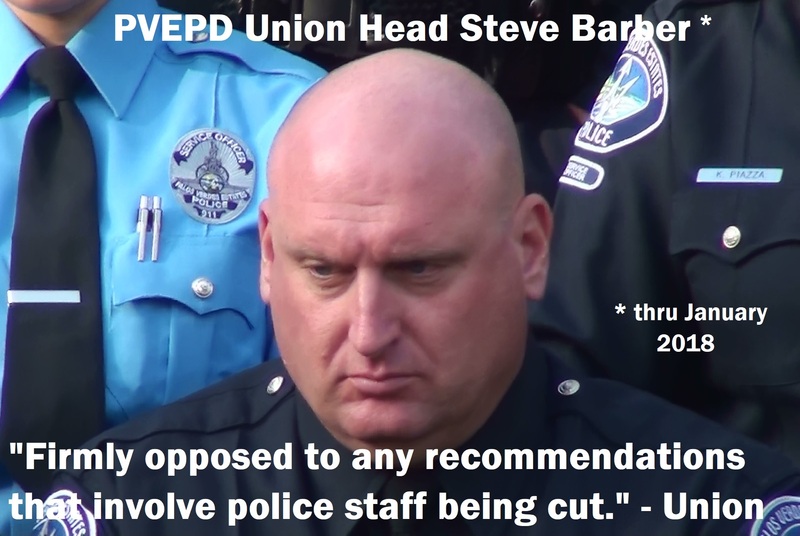 Despite PVE’s $4+ million structural budget deficit, unfortunately the PVEPD POA/union chief stated it is “firmly opposed to any recommendations that involve police staff being cut.” We are saddened that the union for the PVEPD, which PVE taxpayers have been happy to support for decades, has not been able to find a way to bridge the sizable gap between its $7.5 million annual total cost and the $4.5 million Sheriff quote that summarily included shifting Sheriff Peninsula deployment to PVE. 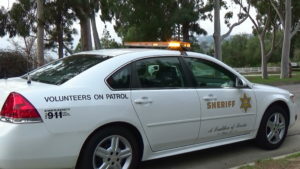 LA Sheriff Successfully Protects Every Other City on the Peninsula: Rancho Palos Verdes, Rolling Hills and Rolling Hills Estates governments are all highly satisfied with the Sheriff's services. There has been no movement by residents of any of these cities to bring law enforcement "in house." 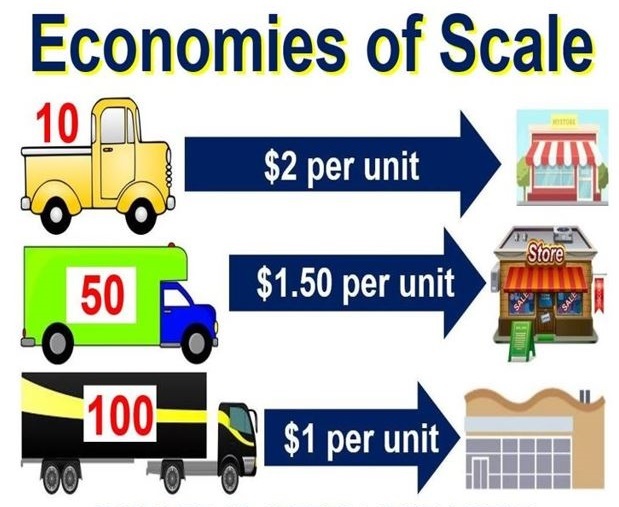 Performance has been driven by economies of scale, highly trained officers, and superior resources (SWAT, helicopter, gang suppression unit, etc.) as the nation’s largest sheriff’s department. Click here for LASD's Wiki page. PVE is Naturally Safe: Very little hard crime is reported in our quaint 4.77 sq. mile town due to remote location along 4-mile ocean border, few/narrow in’s and out’s, Torrance police department buffer, and affluent/mature demographics. The vast preponderance of crime reports in PVE (click here) are for petty crime, DUI's, suspended licenses or outstanding warrants - NOT hard crime like that in areas located more centrally and near freeways. This inherently safe status makes imprudent our current 55% allocation of the entire budget to law enforcement. No More Taxes, Please! Californians already are taxed excessively and now possibly non-deductibly with recent federal tax reform limiting deductions on state and local taxes just like Measure E.
Vote NO on this unnecessary $45 million tax on all of our already highly-taxed, high maintenance homes. Question: Would the BCHA Support Any Tax on Our Homes? Answer: Yes, as long as the taxes go toward necessary capital expenditures and reserve building, accompanied by the end of resistance by PVE government to implement longtime PVE champion (non-affiliate/non-resident of Bluff Cove) Dez Myers' cost cutting recommendations (click here at 1:22:40). Question: Is the BCHA opposed to the PVEPD being PVE's law enforcement agency at any cost? Answer: Absolutely not. The focus of our opposition is the PVEPD's FY2017-2018 $7.5 million updated budget vs. the City Manager's multiple written statements that the Sheriff would cost $3.5 - 4.5 million. The 40% lower Sheriff quote included 50% more patrol service hours over the PVEPD's current deployment AND Sheriff's Peninsula's deployment shifting to PVE, with a Sheriff Lieutenant being assigned to PVEPD HQ. If the PVPED cost $3.5 - 4.5 million/year, or even a small premium more, we would support the PVEPD and a tax to fund it. Question: Is there anything that the City of PVE has done related to the Measure E Home Tax that particularly offends the BCHA's senses of honesty and decency? False Statement - "Measure E will not increase your taxes." False Statement - "It's a minority of PVE residents who find the Sheriff alternative attractive." Incorrect. The PVE City Council perhaps may be afflicted with "Ingroup bias," believing that the "elite" group of PVE residents who frequent City Hall and government-sponsored social events is representative of the supermajority of us who are working too hard at the office, and/or at home raising families, to propitiate council members or staff. Furthermore, as we saw during the last national election, what voters decide anonymously in private voting booths vs. what they are willing to admit publicly can be quite disparate. 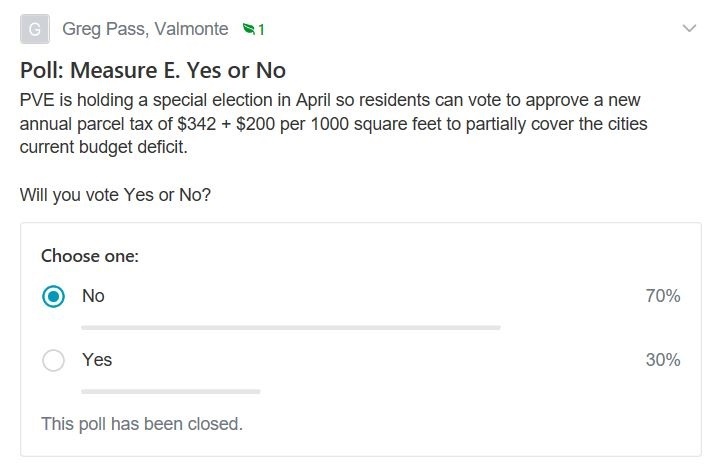 A neutral Nextdoor straw poll taken in January 2018 concluded with 70% of the voters OPPOSED to Measure E.
False Statement - "When asked during public meetings organized by PVE government, the #1 priority of PVE residents was keeping our local police department." Incorrect. As part of our 14-month study of Measure D/E, the BCHA had at least one member attend every one of these meetings. 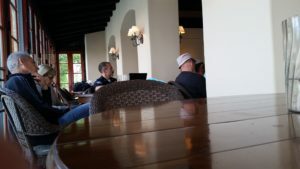 Two essential aspects of these gatherings should be noted: 1) in very visible attendance at nearly every one of these community meetings was a PVEPD captain in uniform; and 2) the audience functionally appears to have been self-selected by the City; most people dissatisfied with the City simply would not attend. Even with a very senior PVEPD officer watching, "Police Services" still was able to find itself very low on the list of reasons a resident surveyed "chooses to live in PVE." 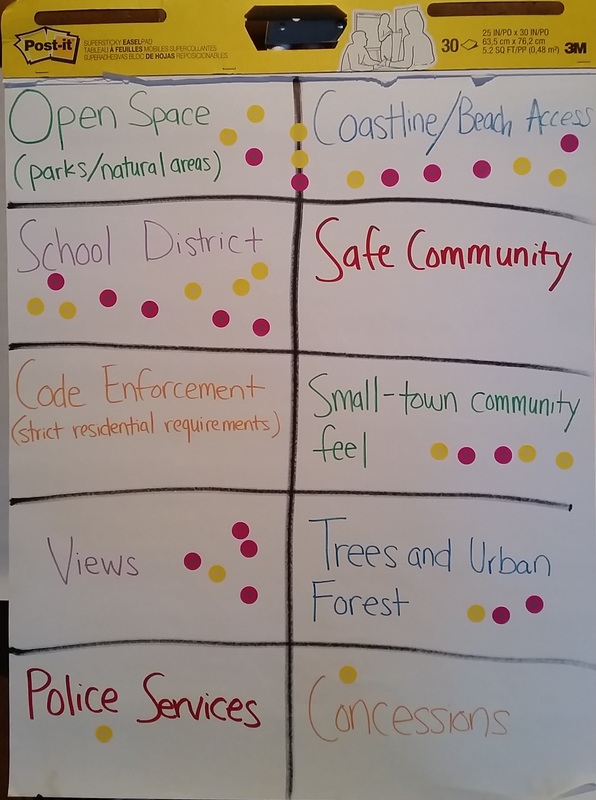 As one might expect, views, schools district, coastline/beach access, open space/parkland and small town community feeling received far more support. 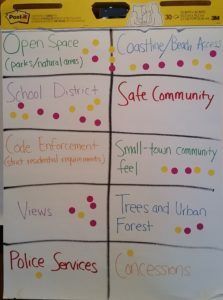 See photo of survey results from the May 24, 2017 meeting at Beach & Athletic Club (where membership requirement made it harder for the City to "stock the pond" with Neighborhood Watch PVEPD adulators). Even with now PVEPD Chief of Police Mark Velez watching the vote take place (see photo), "Police Services" only received one sticker/vote. Disturbingly, the Committee to Retain the PVEPD misrepresented the truth (click on image from its FAQ page). False Statement - "Low voter turnout is to blame for the failure of the City's last tax effort, Measure D."
Incorrect: The 38% Voter turnout rate for the March 2017 Measure D vote was within a mere 1% of the highest turnout in 33 years. 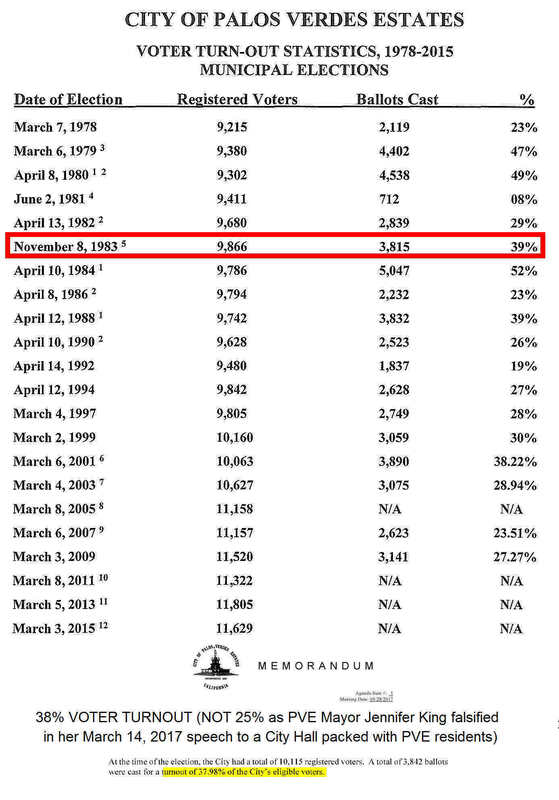 Moreover, as evidence that PVE voters indeed were extremely engaged in voting to turn down the tax, the Measure D voter turnout rate was 40% higher than the prior PVE vote and 60% higher than the one before. The source of this misinformation seems to have been Mayor Jenn King, who at the City Council meeting a week after the tax vote failed falsely blamed a " low ... 25%" voter turnout (click here at 10:00). Then, only two minutes later, she was corrected by the City Manager that the turnout was 36.8% (click here at 12:00). 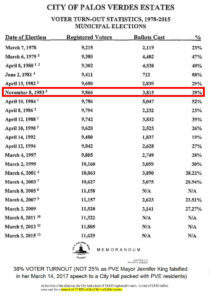 The final turnout, once again, was 37.98%, as seen on the tiny print chosen by the City in its official document above. Misleading Statement - "Measure E will 'fund the PVEPD'"
Partially Incorrect. Despite trying to mislead voters through wording Measure E, PVE government's own words betrayed them. City Manager Tony Dahlerbruch: "The costs for the police services, regardless, are going up. The City has significant pension costs and insurance costs. The $5 million isn't going to cover the cost of the police department anyways." (click here at 1:46:25). Mayor Vandever, just a half an hour later at the same January 10th PVE City Council meeting, explicitly admitted that the Measure E language chosen by the City Council misleadingly may be "leaving the potential impression that the $5 million would fully fund the PVEPD" while in reality only "partially" fund the $7-8 million/year PVEPD budget (click here at 2:14:35). When watching the video clip of the City Council, you will notice how quickly councilwoman King says "No" to the suggestion of adding the word "partially," which Vandever then emphasizes might be "slightly more accurate." Deception, not accuracy, apparently was the goal in wording Measure E.
False Statement - "Sheriff doesn't know PVE streets and can't find PVE addresses." Incorrect. The Sheriff will familiarize its deputies with only 4.77 sq. mile PVE's layout and street convention, with on the streets training ahead of deployment. Furthermore, GPS utilized by all PVEPD and Sheriff squad cars makes this assertion somewhat farcical. False Statement - "The difference between the Sheriff's Dept. and a police department of our own is not that much money at all." Incorrect. PVE voters can do simple math. When the updated PVEPD FY2017-2018 budget is published repeatedly at $7.5 million, the PVEPD POA/union unfortunately is opposed to any staff cuts (read penultimate paragraph here), and the PVE City Manager writes not one but two reports stating "Sheriff would cost $3.5 - 4.5 million/year getting 12-50% more patrol service hours over PVEPD current deployment," there is a clear path to $3-4 million/year in savings. 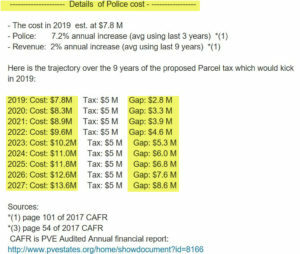 Shockingly, the Committee to Retain the PVEPD falsified the City Manager's documented Sheriff cost estimate by 11-14% (click image from its website). Again, all data and statements were made in PVE official reports by PVE's City Manager Tony Dahlerbruch. Please feel free to contact us for copies of the reports. False Statement - "The McCrary police report disproved City Manager's reports of multi-million dollar savings by contracting with the Sheriff." Incorrect. The September 2017 McCrary report, ordered by the City Council with a clear mandate to discredit the sizable spread between the PVEPD $7.5 million/year budget and PVE's Sheriff quotes at $3.4 million and $4.3 million/year, was viewed as lacking credibility by PVE's own City Manager. At the January 10th City Council meeting approving Measure E for the April 10th ballot, councilman Sandy Davidson pointedly stated, "Tony, this one I have to hit you on. You did not believe the McCrary report ... if you wonder why people are distrustful [of the City], this is a perfect example" (click here at 2:01). The City Council itself rejected nearly every sizable financial recommendation made by McCrary (e.g., jail closing, 1/2 of dispatch staff cut, etc.). Councilman Davidson depicted as a mere "pittance ... a teeny, teeny little bit" the negligible portion of the mere $700,00+ in savings recommended by McCrary but actually implemented by the City Council (click here at 2:02:35). False Statement - "The Sheriff costs will escalate while the PVEPD costs won't because we 'control' it"
Incorrect. The concept that PVE has substantial control over its police department's costs is fallacious. 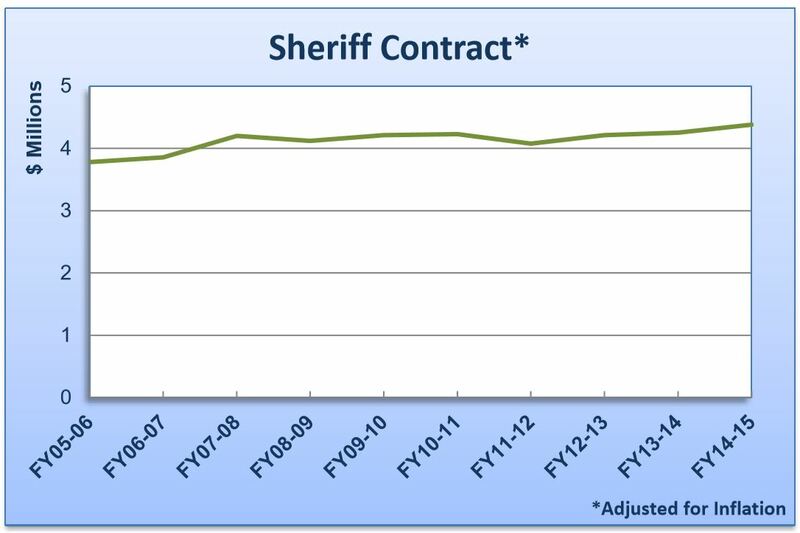 PVEPD budgets have inflated at a much higher rate than those of RPV's apples-to-apples Sheriff cost. This chart represents the relatively flat costs paid by RPV to the Sheriff over a recent five-year period before the conclusion of FY2017. This rate is lower than the PVEPD's budget inflation - the PVEPD budget was $6.7 million in FY2015-2017 vs. 12% higher to $7.5 million only two years later. In PVE's past fiscal year (FY2017-2018 vs. FY2016-2017; click here), the PVEPD's budget inflated 5.3%, nearly a 40% higher rate compared to RPV's Sheriff contract rate increasing only 3.8%. This followed the PVEPD's even higher prior year (FY2016-2017 vs. FY2015-2016) budget inflation of 7.5%. Recent PVEPD budgetary cuts down below $7.5 million have been labeled correctly as "one time" by PVE government officials, including councilman Kenny Kao (click here at 1:52:40). 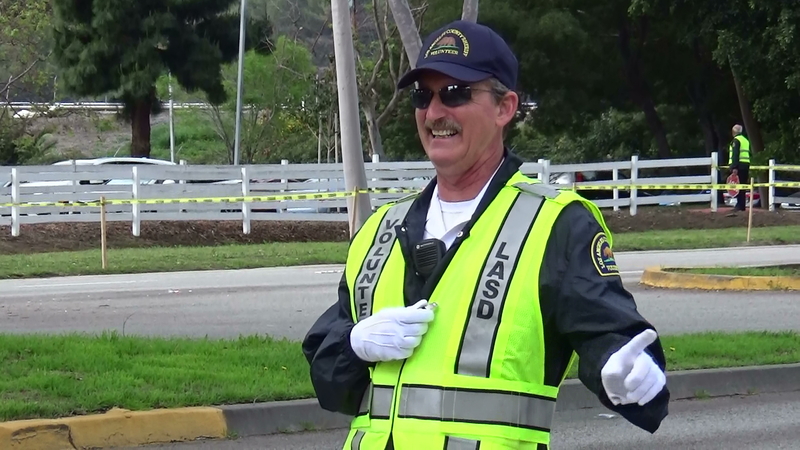 City Manager Dahlerbruch has warned the City Council repeatedly that he cannot estimate any future PVEPD budget, even including next year's, due to skyrocketing, "uncontrollable" CalPERS pension costs (click here at 1:53:20). Moreover, the PVEPD union practically may have more leverage over PVE than would the LASD, as the four-city Peninsula acting as a consortium could form a "Peninsula Police Dept." if Sheriff cost/benefits became unattractive. PVEPD union negotiations with the City this past summer, even after Measure D's failure put the City in need of real financial assistance from its officers, were unfruitful in obtaining significant savings. In fact, the union hammered the City Council into agreeing to substantial escalators. 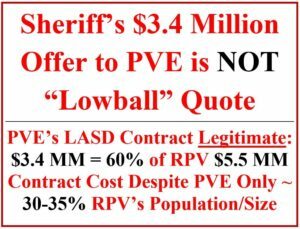 Incorrect: Given the tiny size and naturally very low crime rate in PVE, a stronger case can be made that the $3.4 million and $4.3 million Sheriff quotes received by the PVE City Manager were "high ball" and could be negotiated lower. 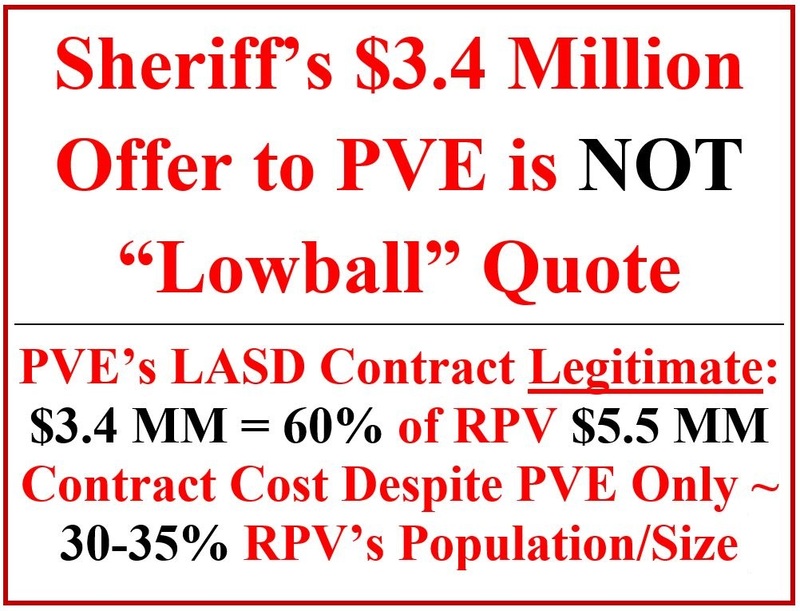 The Sheriff's $3.4 million PVE quote (offering 12% more patrol service hours than PVEPD deployment) was 60% of RPV's $5.5 million/year contract cost at the time despite PVE being only 30-35% of RPV's population/size. The Sheriff would love to spread its fixed overhead over yet another Peninsula city, resulting in a PVE quote that should be and in September 2016 actually was quite favorable to PVE. 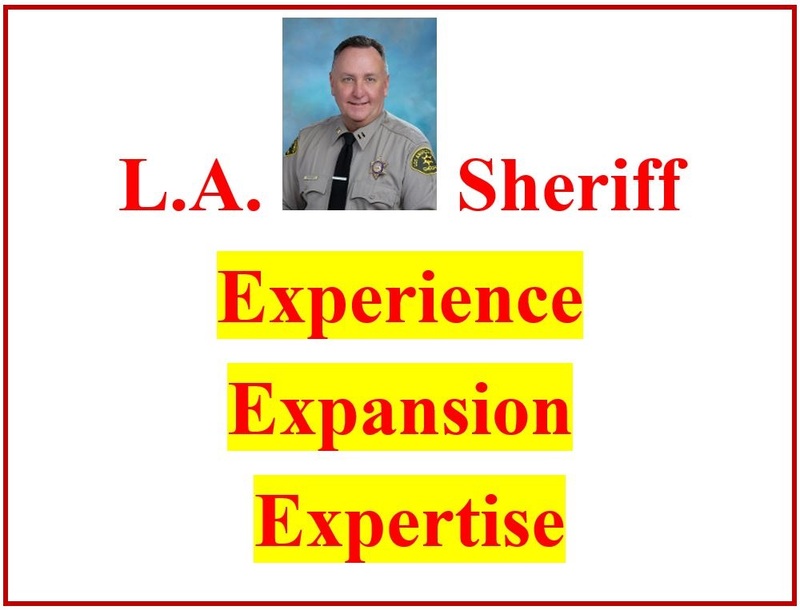 Had the PVE City Council obtained a Sheriff Feasibility Study (for which Treasurer Lozzi pleaded) anytime between obtaining the September 2016 LASD quote and now, none of this would be debatable anymore. False Statement - "Having our own police department is good for property values." Highly debatable. The financial stability of a city is a far higher driver of property values than the logo on the side of squad cars that patrol it. Property values in cities that have gone into financial distress due to exploding police and pension costs have experienced dire consequences. Those cities increasingly neglect and defer basic maintenance and crucial capital spending on infrastructure. They also engage in relentless yet fruitless campaigns to get resident taxpayers to vote to tax their own homes to cover the problem. 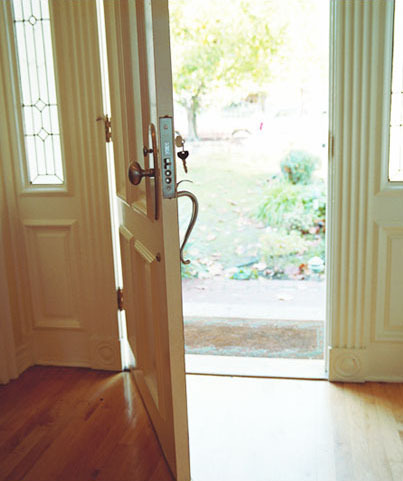 Homeowners grow wary, putting their homes on the market just as possible buyers are being scared off from the troubled city and instead into neighboring, fiscally responsible towns. 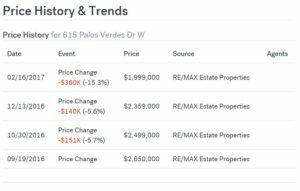 Home listing prices fall (see real example at 615PVDW during last parcel tax campaign by PVE), feeding the city's worsening reputation for relatively unattractive property values. 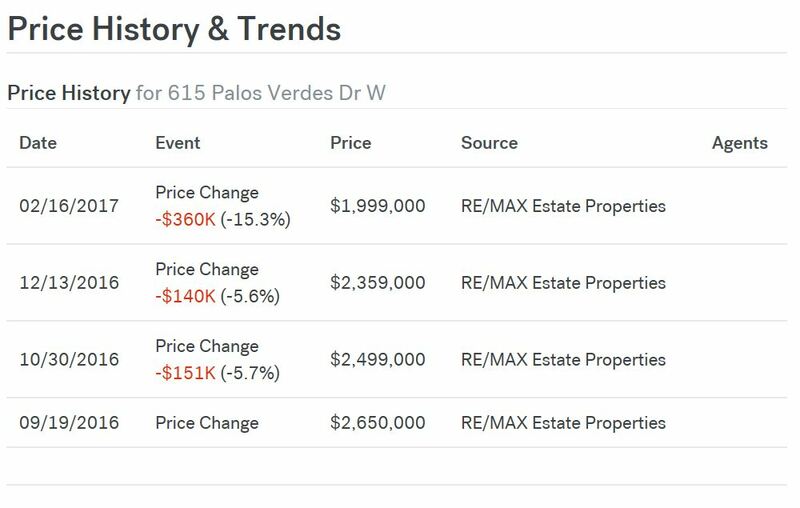 Quickly appreciating home values in Manhattan/Redondo/Hermosa Beach and RH/RHE vs. price cuts here lends credibility to the argument that PVE appears to find itself precisely in this cycle now. False Statement - "If the PVEPD is replaced by the Sheriff, we will never again have a PV Police Dept." Incorrect. There is no practical reason that if PVE became comfortably and consistently budget balancing, a PVEPD could not be rebuilt in the future. While councilman Davidson has no shortage of passion for his friends at the police department (click here), rebuilding a PVEPD is feasible. Yes, it would require a lot of work (recruiting, equipment procurement, etc. ), but nearly everything that is in place today (documentation, HQ, procedures) could be utilized in the future. 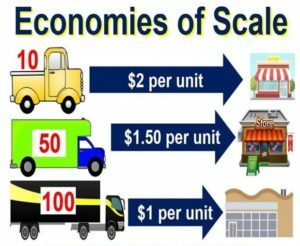 Should PVE somehow come into a revenue stream that would allow the PVEPD to consume a similar share as in RPV (law enforcement = 13% of total budget), a capable and dedicated City Council could accomplish this task. Misleading Statement - "The Sheriff has no obligation to come protect PVE first in the event of a calamity or emergency." Misleading, and Misguided. 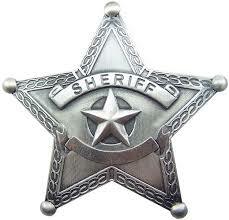 Legally, the Sheriff is obligated under both minor and dire circumstances to protect every city under contract. Practically speaking, should a massive spike in crime (e.g., gang attempts to "take over" PVE turf) or emergency (earthquake, landslide) lead to an attendant spike in the need for police assistance, PVE now is last in line on the Peninsula to get that help as RPV, RHE and RH are contracted with the largest Sheriff department in the nation but PVE is not. Furthermore, with only two PVEPD patrol officers and a sergeant on duty at any time, we are severely "manpower constrained" in PVE in an emergency. By contrast, due to having 9,972 sworn deputies, the Sheriff can more than triple the "boots on the ground" in any Los Angeles location within one hour. Lastly, there is a strong case to be made that a city is better off having its dispatch operation remotely located so as not to become crippled itself in the event of a PVE-based calamity. False Statement - "This cumulative $45,000,000 is peanuts when split up to individual taxpayers' homes." Incorrect. There are a lot of hard working or retired PVE residents who have far more pressing needs or wants to spend $5,000 to $20,000 during Measure E's 9-year lifespan. Rather than "spend $300 on dinner without blinking or on a $120 bottle of wine" as Councilman Sandy Davidson surprisingly asserted is customary for PVE residents he knows (click here at 2:06:25), lots of us want to spend our hard earned savings on our kids' education, retirement, travel or healthcare. We don't want to pay this extra tax on our home, particularly given the attractive, sensible alternative offered by the Sheriff effectively and economically protecting the entire rest of the Peninsula. False Statement - "PVEPD has a 3-minute response time." Incorrect. The PVEPD has a self-reported, unaudited three minute emergency response time. To omit the word "emergency," as with the word "partial" regarding Measure E's funding capacity (see above), misleads voters into believe that the response time to all dispatched calls is three minutes. 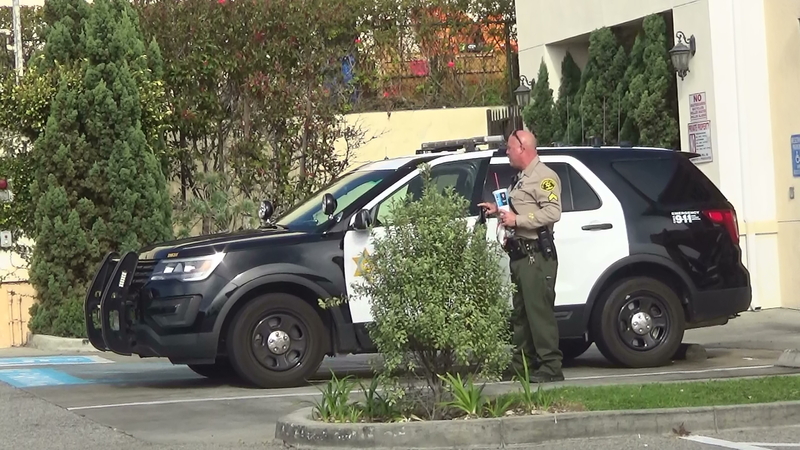 Question: Has any member of the BCHA participated in a Sheriff and/or PVEPD ride-along in order to compare first hand the LASD's and PVEPD's operations on the Peninsula? Answer: Yes. 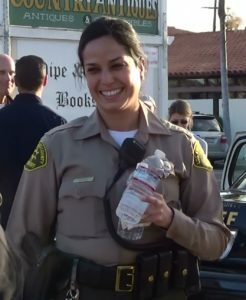 In April 2017, we had a member spend six hours riding along with LASD Deputy Capra. During the ride-along, the impression made by Capt. Beringer's Lomita team was quite favorable (click here for Beringer's interview). Every week, Sheriff deputies such as Capra encounter a broad array of felony and misdemeanor activity around the Peninsula and LA County — hard crime to which the PVEPD is relatively unaccustomed and thus less prepared. 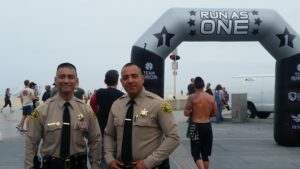 In the event of an outbreak of crime, the LASD can expand its local PVE force three-fivefold within one hour — the PVEPD is constrained by its small on-duty force. PV Peninsula expertise includes each LASD squad car accessing the LASD database showing all LASD contacts with potential or witnessed criminals — a network to which outside-the-network PVEPD squad cars have no immediate access. The PVEPD simply would not know if it encountered one of these criminals, potentially allowing him/her to continue within our city. Just during this one ride-along, Deputy Capra negotiated a threatened mass murder at a veterinary clinic, consoled and assisted a mother whose child had run away, pulled over multiple vehicles for traffic violation, and assisted a stalled vehicle on busy Hawthorne Blvd. This was all accomplished while still patrolling RPV. Conversely, a BCHA member's request for a PVEPD ride-along dating from October 2015, over two years ago, remains unapproved. This rejection was justified by the PVE Chief of Police stating, "I recently reviewed the PVEPD Ride-Along Policy and discovered that it was out of date, had not been updated in many years, was not compliant with current California law. I therefore suspended ride-alongs for all civilians ....". 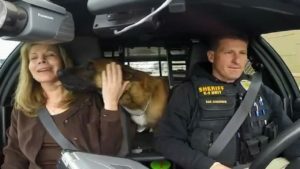 In March 2017, around the same time that the BCHA was scheduling its Sheriff ride-along, the PVE Chief of Police replied to a repeat request by stating, "There has been no change in the ride-along policy." On January 29, 2018, in response to a request yet again for a PVEPD ride-along to assist comparison to the LASD, the PVE Chief of Police stated, "There has been no change. The policy manual is currently under review and being updated." Thus, by the PVEPD's own statements, lamentably the PVEPD has maintained a policy manual that has not been compliant with California law for almost 2 1/2 years. 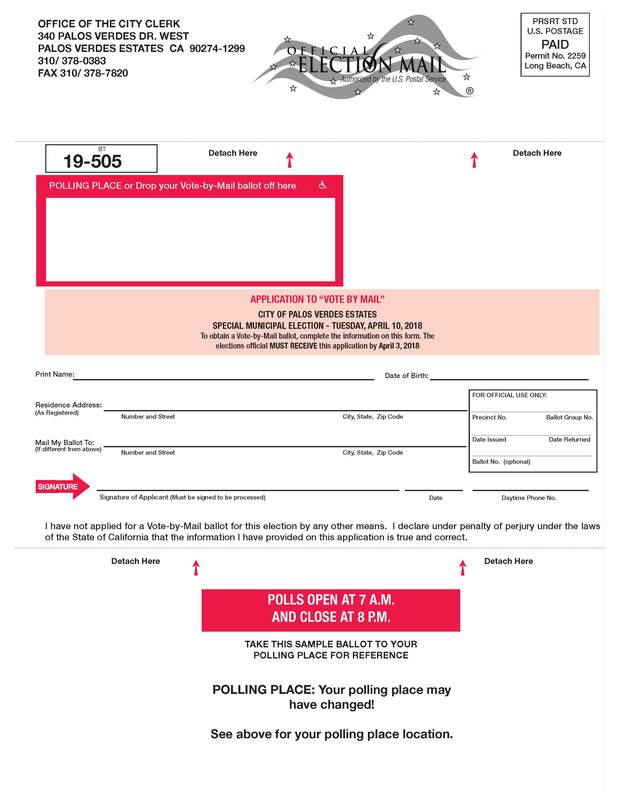 Official Ballot Argument Against Measure E: In order to see the Bluff Cove Homeowners Association's argument against Measure E as it will be presented on official ballots, please click here. In addition, you will find data, records and other evidentiary documentation supporting our factual opposition to Measure E.
COPYRIGHT NOTICE: Photographs utilized on the BCHA website have been obtained via Google image search or from the websites of the cities of Palos Verdes Estates and Rancho Palos Verdes. If copyright protected, we request the owners of such copyright contact the BCHA to arrange licensing of the image. Bluff Cove now attracts an impressive flow of visitor traffic, consisting of surfers, hikers, sunset lovers, and at times people looking for a place where they may break the law. As a result, for the past decade, the Bluff Cove neighborhood cumulatively may have the highest density of law enforcement activity despite being far smaller than each of the others. Accordingly, we should and, if practical, would pay a disproportionately higher share of PVE's law enforcement costs. The BCHA strongly recommends the ordering of a California Public Records Act (CPRA) request in order to confirm this assessment. For better or worse, the disproportionate PVEPD incident count in our neighborhood may make members of the BCHA experts in understanding how law enforcement works in PVE. This only serves to burnish, rather than diminish, the credibility of our understanding of PVE law enforcement and relatedly Measure E.